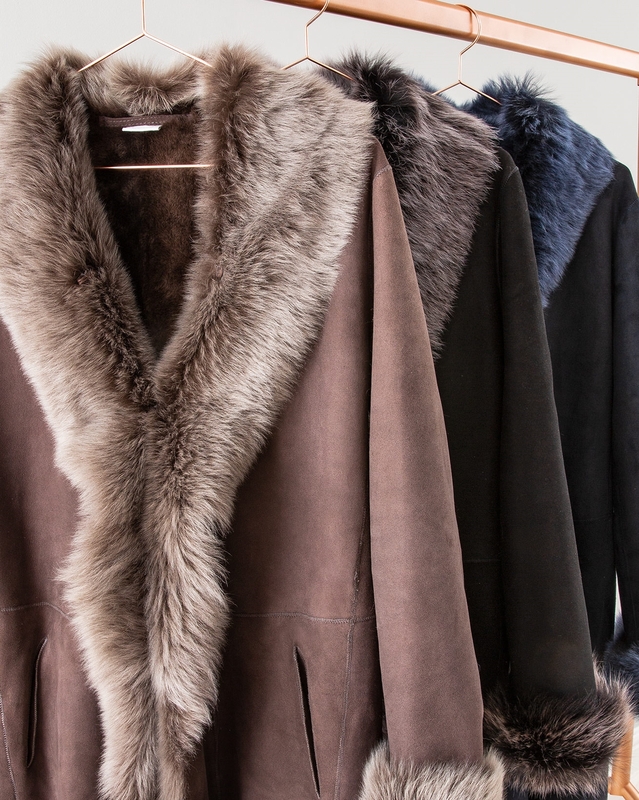 Add a little sophistication to your wardrobe, with a rolled-back waterfall front and sumptuous Toscana trims, this British-made shearling coat is the height of throw-it-on luxury. 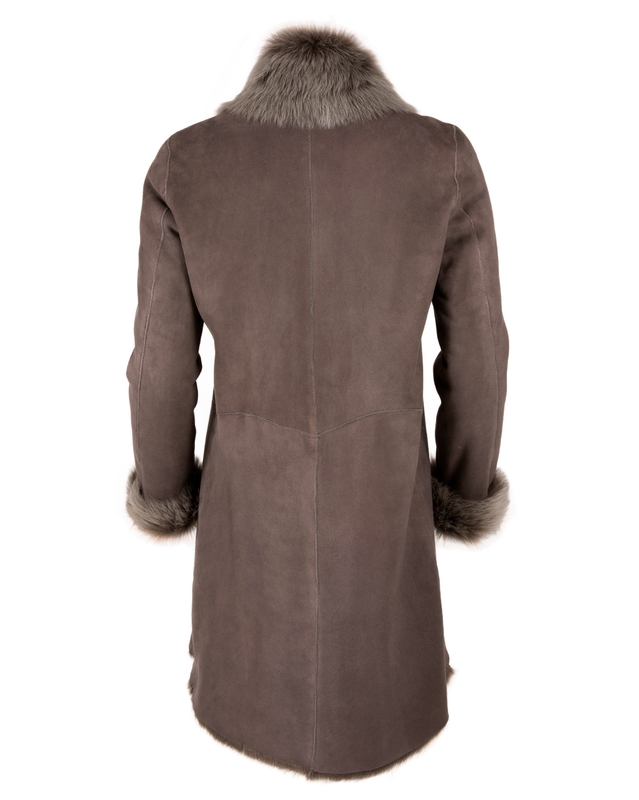 Because the inner fleece is closely shorn, the coat has a sleek, bulk-free fit and hangs like a dream. Concealed fastenings and pockets. Love my new coat to bits - just wish I'd bought it at the start of winter and now I don't want the weather to warm up too quickly! I chose the dark nutmeg and it goes with anything. Have already had so many compliments on it. Unlike other customers I went up a size rather than down, to give me the option of wearing thicker jumpers. A quality product and a real classic which will last me forever. Well done, Celtic! 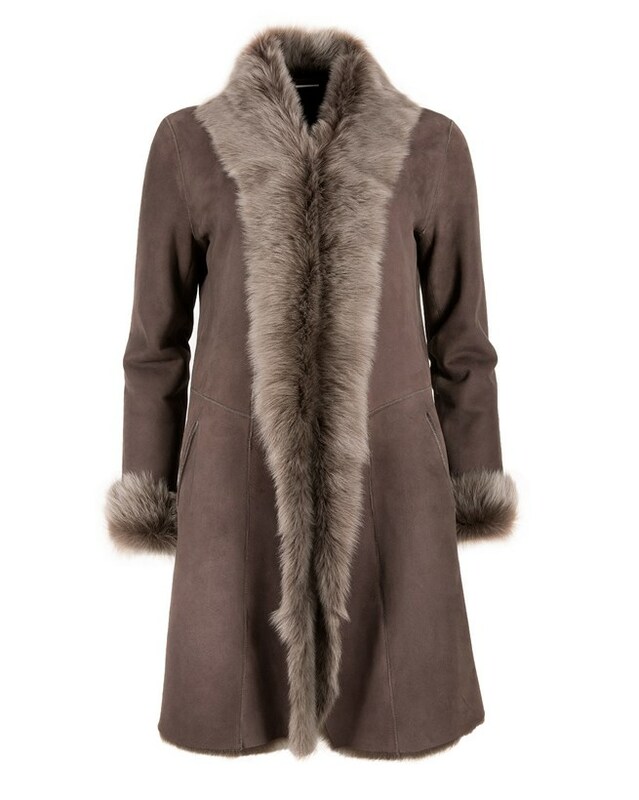 Perfect colour, beautiful classic forever coat. The navy is lovely midnight blue just as I had hoped. Was almost put off by another review regarding only the edging being full and the rest of the coat thinner, it's not it's stunning. It does bulk a little at the lower back but with more wear will settle. Glad I purchased again from Celtic, first class quality. If you are truly in between sizes then definitely go down. It is perfect if you are wearing a cashmere jumper underneath which is normally enough for the UK winter. If however, you wish to wear thick jumpers underneath then size up. Absolutely beautiful and so warm. I also second the comments about having toscana gloves to match. I bought this is in the midnight blue and its such a wonderful colour.